At fifteen years old I drag myself into the doctor’s office, on a Wednesday afternoon after my half day at school. I am there because I must go back on the pill because my periods are irregular. I know I must do this because I discussed it with my friend whose doctor told her this information. I have tried one before, Yasmin and it worked well for me. Within five minutes of sitting in the patients chair I was prescribed a new pill that I am told is like Yasmin. I take the pill with no hesitation or questions asked because it’s a pill with one purpose, to protect me. At 22 years old I look back and feel so saddened by my experience. 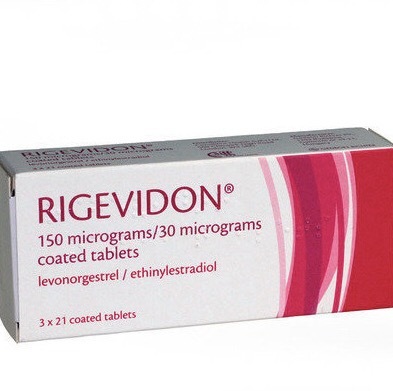 Since then, the pill that was prescribed to me called ‘Rigevidon’ has been all over the media, with countless petitions ordering to ban the pill and fatalities including deaths from blood clots in the bodies of young women who were simply doing the same as me. Within a week of this pill in my system I couldn’t leave my home from severe depressive thoughts along with waves of hours of aggressive crying fits and the need to stay in dark rooms. The skin on my face was sore from the rashes of bumps that started to appear, with every skincare product in my house causing more sensitivity. Hormones are distressing for women’s bodies and there is a seemingly careless approach to dealing with them. Ever heard the phrase “she’s just hormonal? What does that even mean? Where has the normality of this phrase come from? Effectively, there is no two ways about it, we must stop our bodies from the natural process of reproduction, when we aren’t ready but what I’m looking for is more support. I’m looking for someone to take me seriously when I walk into the doctor’s office with a hormone imbalance. Where is the consideration of what women must go through daily? I want to emphasis that you can be concerned about hormones. You are allowed to worry about how hormones in contraception are affecting your body. You are allowed to be concerned and to talk about it with women around you. I’m grateful that these conversations are common with my close girlfriends. Where there is a territory of consideration for one another on this topic. A close friend of mine recently addressed her concern to a doctor about a lump on her body in relation to a perceived hormone imbalance. She was recommended to take paracetamol. I want to talk about the complications and frustrations that can come from protecting yourself from pregnancy. For willingly pumping hormones into your system because that is what we have been told to do. For generations women have been protecting themselves daily from making children. The concept has been made very simple in society. Put the hormones into your body, carry on with your life and you won’t find yourself pregnant at the end of the month. We willingly abide. We gracefully pump and pump. Some bodies take to the hormones and some bodies do not. That is what we aren’t talking about. Nobody is the same so why allow society to tell us that one pill is suitable for every female? We can talk about our body’s rejection to this. The rejection stories are extraordinary and overlooked. Shocking as they are apparent in society. A copper coil floating to another section of the body leading to the ovaries no longer being able to reproduce. The clearest of skin becoming inflamed and acne prone over several months. The effects of the pill leading to depression and suicide and yet so commonly passed on to a young girl going to her GP when she is ‘ready’ to be on contraception. Ladies I applaud you for your patience with this concept. So, what would I say to my 15-year-old self? I would tell her that perspective is everything. What that traumatised 15-year-old girl doesn’t know is that one day she will date a guy that asks about her contraception, not to ask whether she’s on it but how she feels with it. That he has heard stories through his female friends of what it’s like and wants to know how she is. That’s the conversation that should be happening. Why am I writing a piece on hormones? I am because we need to start talking every day in every means possible to get the point across. Hormones are worth talking about.